Architecture, like other arts, produces 'culture capital', by which people display their upper class status through their tastes and possessions. One can hardly consume more conspicuously than through architecture. 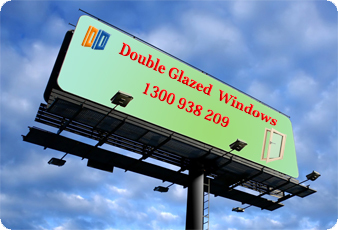 Double Glazed Windows and Doors is the only double glazed window manufacturer in Australia with enough technical skills and enthusiasm for customer service to create and maintain a unique online pricing and ordering service. You can now easily receive a quote and place an order for your double glazed windows and doors through our website. It is easy to use and features detailed explanations throughout. Quoting and buying double glazing couldn't be easier! Using the online quoting and ordering system you can compare the costs of different styles; try different glazing combinations; analyse results: how size of order affects delivery and installation fees, define the most cost effective order etc; learn about and add custom features such as specialty hardware, window and door design with colours, shapes and styles; estimate completion and delivery date; and develop a plan for payment. We are working on an online credit card payment system, which will enable you to make an immediate payment when you have decided to order, which will enable us to better cater for urgent double glazing needs. This section is for existing clients only, if you are not a customer of Double Glazed Windows and Doors, you will not be able to use this secure portal. If you are a new customer, to make it easy, we invite you to send us an email with your schedule. Please note that orders for double glazed windows and doors are not processed immediately, but they are checked (several times) daily. Orders completed after hours may not processed until the following business day. In addition, manufacturing of your double glazed windows and doors will not commence until the deposit payment has been made regardless of whether an online, telephone or email order was made. Unfortunately, this portal has a restriction up to a maximum of 10,000 double glazing items per single order, so if your order exceeds this please contact us by phone or email. Check the information you provide carefully because incorrectly specified glass or double glazing window and door items, whether style or size may not be easily changed if manufacturing has commenced. If manufacturing has not commenced, you will be able to change your order of double glazed windows and doors anytime. For our architect and builder clients, we have an added functionality where you can create multiple orders of double glazed windows and doors for the same customer (if there are multiple locations, for example). However, we may not necessarily manufacture all the double glazing items for the same customer together, in a separate production batch run to all other order of double glazed upvc products- so please contact your sales contact to discuss any special circumstances. Individual consumers with a designated account after placing an order for double glazed products will have to schedule for a technician to confirm the sizes before manufacturing can begin, but by placing the order they secure a production timeslot at our factory even in the busiest times. If you are unable to access your double glazed window and door order to change it, this may be due to either technical problems or because production has commenced. In the case of the former, contact the sales team for information, in the case of the latter, contact will have to be made with the factory manager. We always try to accommodate our clients with changes, but note that in some cases it is not possible to do so free of charge, for example when the double glazed upvc window or door has been completed or almost finished - this is when the customer will have to pay for an additional double glazing item.